Nexus REIT’s recent purchase of a half stake in a Quebec portfolio of Sandalwood Management properties represents about a 50 per cent increase in Nexus’ gross book value to about $450 million. The purchase price for the 1.53 million square feet of gross leasable area works out to about $97 per square foot, “which is well below any replacement value,” Nexus REIT co-CEO Kelly Hanczyk says. The cap rate is about 7.3 per cent, making it “a little bit more attractive than what you’d get on a fully marketed portfolio. The off-market deal, which will give the REIT (NXR.UN-X) a portfolio of 62 properties with 3.5 million square feet of total gross leasable area, was actually introduced to Nexus by RFA Capital Partners, one of its major shareholders. 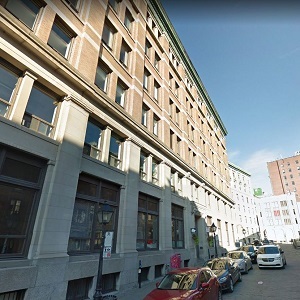 The deal “gives us the opportunity to get core Montreal office properties that you wouldn’t typically get to see in a REIT our size,” including the Old Montreal properties, Hanczyk says. Set to close in early July, the $147-million deal will give Nexus a 50 per cent interest in 24 retail, office and industrial properties in the Sandalwood portfolio in Greater Montreal and Greater Quebec City and 100 per cent interest in two properties in New Brunswick and Victoriaville, Que. Sandalwood is a private real estate firm headquartered in Austin, Texas and Montreal that owns and manages more than 80 properties across North America. The acquisition will be partially financed by $55 million in bought deal equity financing and a $15-million private placement with RFA Capital Partners.. In Montreal, the acquisition gives Nexus 50 per cent ownership in several office properties in Old Montreal, including the 155,000-square-foot 410 St. Nicolas, and a number of retail centres, such as Les Halles d’Anjou and Les Galeries Taschereau. Hanczyk says he toured all of the Old Montreal office buildings and “they are well-located and fantastic quality. They’ve been maintained really well” and do not require a lot of capital expenditures. Hanczyk says there are some opportunities to develop additional pad sites at some of the retail centres, with standalone retail or restaurants such as Tim Hortons (QSR-T). Overall, the properties are 90 per cent leased. Nexus has also obtained 100 per cent of Place 400 in St. John, N.B., a 160,000-square-foot office building with tenants including IBM and Xerox and Le Centre de Victoriaville, a 376,000-square-foot shopping centre whose tenants include Metro Plus and Hockey Experts. While the Sandalwood portfolio increases Nexus’ overall retail exposure to about 26 per cent, the REIT – formed in April by the merger of Edgefront and Nobel REITs – says its growth strategy will continue to be primarily focused on industrial properties from which it derives 51 per cent of its operating income. Sandalwood will continue to provide property management of the buildings in which it has a 50 per cent stake, while Nexus will provide asset management services on the portfolio.